You can now add yogurt brand SweetFrog to the list of companies owned by MTY Food Group Inc. The Canadian-based company, which also owns ManchuWok, TCBY Frozen Yogurt, Baja Fresh, Cold Stone Creamery, Great Steak, Blimpie, La Salsa, and Samurai Sam's, just announced a deal to buy SweetFrog for $35 million. "SweetFrog is an exciting brand serving premium quality frozen yogurt and will fit perfectly within our portfolio of brands," said Jeff Smit, COO of MTY's U.S. operations. "We are extremely happy about everything this brand has to offer and the growth potential ahead." 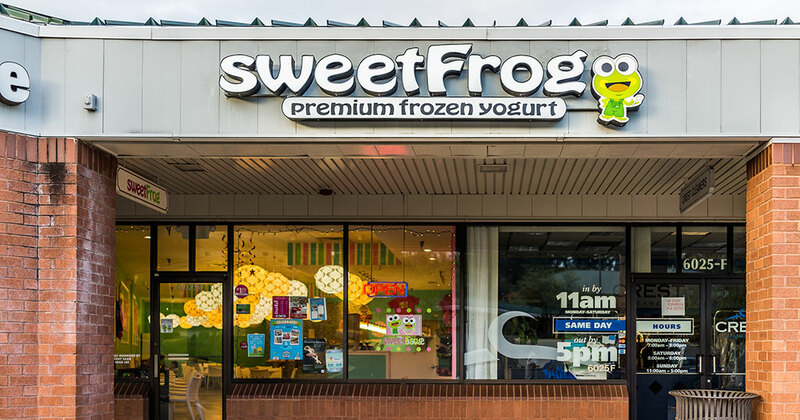 The Roanoke, Virginia-based SweetFrog operates 254 franchise locations and 78 corporate-owned locations primarily in the U.S. As part of the deal, the current 78 corporate-owned locations will transition to franchised locations. Officials said the acquisition of SweetFrog will help solidify MTY as a dominant force in the frozen treat category and represents another major milestone for MTY as it continues to expand its presence in the United States. Once the deal closes, MTY is expected to consolidate operations and run the franchising platform from its U.S. headquarters in Scottsdale, Arizona.